(40) Photos Printable Brochure Apply For Credit Schedule A Test Drive Text Us About This Vehicle! 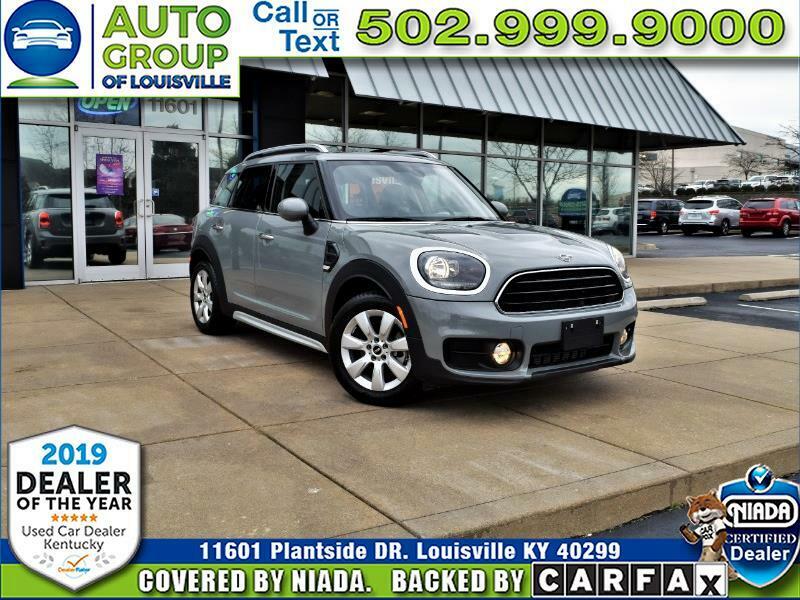 Why are you wanting to buy new when there is this Fantastic 2019 MINI Countryman Cooper that just arrived here at Auto Group of Louisville? Still plenty of warranty remaining with less than 6,000 miles on it, still smells like a new car too! There may be some disagreement if the Countryman is an SUV or a Wagon, but we all can agree that whatever you call it, it is spacious and a fun vehicle to drive. Some great features on this biggest MINI made are Back-Up Camera, Rear Parking Sensors, Dual Pane Power Sunroof, AM/FM/Bluetooth Stereo with Aux Cord Connection, Heated Leather Seats, 40/20/40 Split Folding Second Row Seats, Keyless Entry and Push Button Start, and so much more! Why are you still there reading this? You should be on your way to 11601 Plantside Drive in picturesque Jeffersontown Kentucky to take this SUV...err...Wagon...err...SUWagon, out for a test drive with one of our Great, Friendly, Knowledgeable Customer Care Specialist! Message: Thought you might be interested in this 2019 MINI Countryman.